We are grateful for the trust and support you have given us. We are thankful for your business. We look forward to the new year and the opportunities it will present. We hope you can take some time to slow down and enjoy the holidays with family and friends. From all of our families to yours, Merry Christmas and all the best in 2012! This story certainly got me thinking. My immediate thought was that we already do a fairly good job at this. However, I know that if I explored this further that I might be shocked by what I found. This whole idea is very intriguing to us. The positive impact that this would have on our nation's economy is extremely appealing. Therefore, we at BJ Armstrong Custom Homes are going to do our part to strive to make our homes as American made as we can. So....are you in? 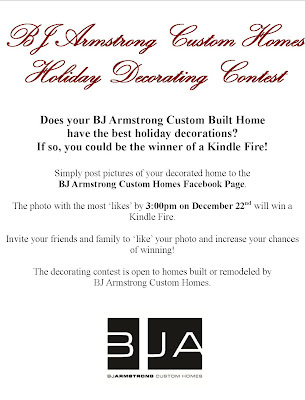 Tis the season to give thanks, and at BJ Armstrong Custom Homes, we have plent y to be thankful for. We would like to thank our past, current and future customers, our vendors, and our supporters. We are extremely blessed to have you in our lives and are grateful that you have allowed us to be part of yours. We wish you and your families a happy and healthy Thanksgiving! Here is the latest update on our theater room. When this project first started, the new theater room was transformed from a boat garage. It took many hours and hard work to make it look the way it is now. The fiber optic ceiling was a project within itself. We first had to start by drilling 300 tiny holes through the drywall for the fiber optic lights to go through. Next, it was time for the drywall. It was difficult for the drywall crew to mud, tape, and sand around the many small holes. The final step was painting the drywall. The paint crew had a lot of patience working around the fiber optic strands. The giant 135 inch projection 3D TV sets off the room. Impressive Home Theater is responsible for all the audio and video in this theater room and sounds great with a really sharp picture. There were many projects to overcome in this room and was all worth it in the end. A few years ago I had an amazing opportunity to develop some ground surrounded by Prairie Vista Golf course. This week, I have the pleasure of announcing our last building! This community has turned out more amazing than I could have ever predicted. With 28 homesites, each with a unique view of the golf course, we also have unique owners. Each unit has been customized to suit each particular personality. What an amazing experience to have an opportunity to share in their lives this way. Even better, is watching them share in each others lives as the owners of the Village at Prairie Vista. There is still an opportunity to build your special home, don't wait! I cannot wait to hear your thoughts. The BJ Armstrong Real Estate Team is so excited for our open house party this Sunday! We have reinvented the standard open house to become a fun family event. This Sunday at 1907 Wakefield, in Tipton Trails, we are hosting an Open House Party from 1-4pm. This event will showcase our client's home beautifully. We cannot wait to receive valuable feedback and sell this home! Additionally, Jenny Lein Photography, one of the premier photographers in town, will be on site providing complimentary family portraits. 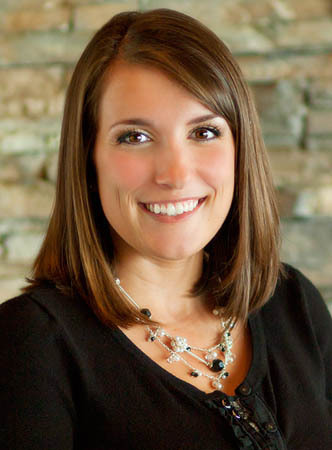 Rebecca Bergquist, our local mortgage expert, will be available to answer all of your financing questions. Come visit us this Sunday, November 6th, from 1-4pm at 1907 Wakefield in Bloomington! New technology for the home is one of my favorite things about the new construction business. In the twelve years I have been building, dramatic changes have occurred in home audio, video and home automation. The iPod itself didn't even exist until 2001. My Sony Walkman can attest to that. While some of the home technology options are incredibly cool, they are so expensive that nobody is willing to spend the money on them. Others are much more affordable. One of those is the Sonos Wireless Home Music System. Instead of using wires in the walls to hook up speakers and controllers, it simply uses Sonos hardware and your wireless router to send music to individual speakers. Those speakers can be moved anywhere in the home. It's a nice option for homeowners and gives them much more flexibility to move the speakers around the home and take the whole system with them if they move. The system can be as extensive (and expensive) as needed, or very simple. And instead of using an expensive controller, you control the system with a cell phone or tablet. Sonos offers free apps for the iPhone, iPod, iPad, Droid, etc. It's all very simple to install and use, and the sound is great. You can play any music on your computer whether it's from iTunes, Pandora, Slacker, TuneIn Radio, Spotify (also a very cool product), or many, many more. We still pre-wire our homes for distributed audio and will continue to do so partly to accomodate future products. It is a relatively small expense and doing so gives homeowners the most flexibility. Sonos however is a nice alternative. I heard about if from Dustin LaFond and our friends over at Impressive Home Theater. While I get nothing out of talking about Sonos (unless someone over there wants to send me some gear), I just thought I would mention a great new product. Check them out at http://www.sonos.com/. Last week we met with a couple to plan the designs of their future home. In order to accurately capture their vision, we began by discussing their favorite rooms in a house. This helps the client to articulate their ideas and for us to pinpoint the important aspects to include in their home design. I started to think about it, and we all have that one room in the house that we LOVE. It is different for everyone, but personally, the room that can make or break me is the kitchen. I have a vision in my mind for my dream kitchen, and it would be wonderful to see this kitchen materialize. 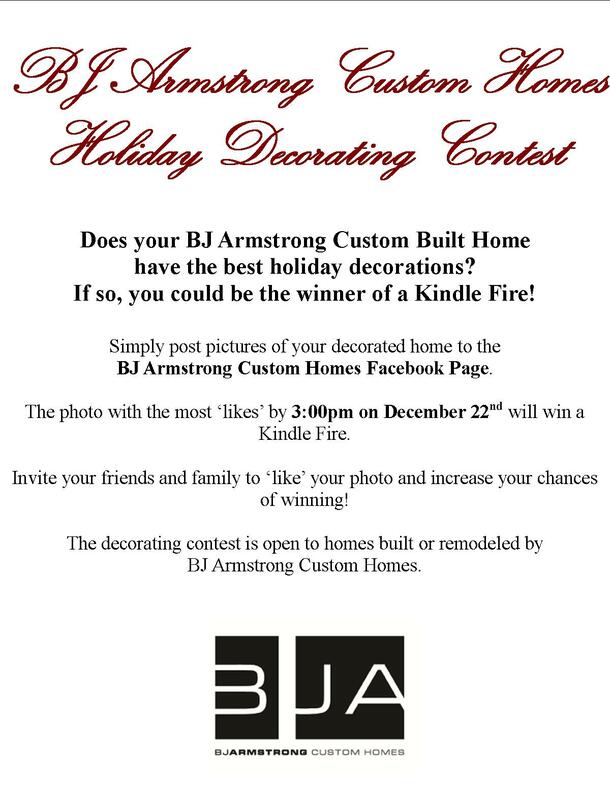 At BJ Armstrong Custom Homes, we would love the opportunity to make your dream home come to life! So my question for you is, which room is the most important? Let us create your dream room, in immense detail, and design a house around it. We look forward to building a home that you will love in, laugh in, and live in. 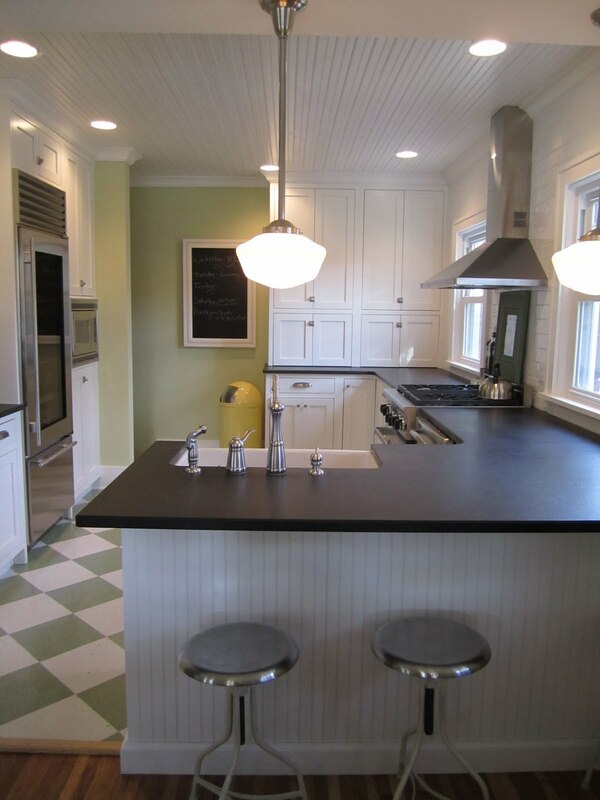 BJ Armstrong Custom Homes recently completed an exciting remodel for homeowners in a historic Normal neighborhood. The remodel, mainly the kitchen, took several weeks of planning to ensure no detail went unnoticed. The homeowners had a vision for their dream kitchen and it was our job to reference that style and translate it into the designs. All of this planning, hard work and attention to detail paid off. The homeowners were more than ecstatic with their fresh, new kitchen. In fact, they were so impressed with the quality and design of it, that they thought it should be worthy of some national recognition. They proceeded to submit some pictures to the Reader Remodel Contest offered by This Old House Magazine. Their kitchen turned out to be one of the top picks selected by readers and the This Old House Magazine editors!! I must say, this is by far my favorite part of this job. 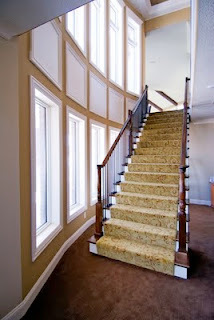 It is very rewarding to see the smile on our client's faces when they walk into their home. A home where they will be creating memories for years to come. It feels good to be recognized! A few days prior to writing this BJ tells me we are going to be putting a fiber optic ceiling into the movie theater addition were working on. Imagine in your room you look up at the ceiling and it looks like there were stars in the sky. After doing some research on this particular system it starts to look interesting. I have seen pictures of these systems before but never knew how they worked or installed. Little did I know drilling 300 little tiny holes into drywall would be fun, than fishing the lights through the drywall which was similar to fishing line. After about an hour of drilling holes in the drywall, a day full of putting the tiny lights in the drywall my part was done……so far. Next comes the drywall finishing, the drywall should be put on as if it were a regular ceiling, which after the mud is put on I need to go through and pick all the strings out(sounds fun!). Now paint, similar to the drywall the paint need to go on than pick the fiber optic lights out. Last, cut the fiber optic lights as close to the drywall as possible. This system can require a lot of work and time but will be worth the wait. I have maintained an active real estate license for about 17 years. I have also been responsible for the design and construction of new homes for about 17 years. I love my job, really! There is nothing else on this planet that I can imagine ejoying quite so much. I had an experience this weekend that reminded me of how fun it is. We recently completed a new model home at 3540 Tahoe Blvd in Trails on Sunset Lake subdivision, Normal IL. This is fun because it is like an unveling. This is a project that we began planning last year. 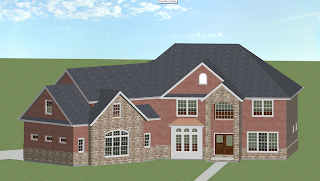 We planned the floorplan (from scratch because I am tired of seeing the same old stuff all the time), the structural details, the exterior colors, the floor coverings...basically, all of the things that you have to plan to build a new home. This is the exciting part. Our first open house was last weekend. Now, I have a fair amount of experience with open houses, so I do have fun with them. I must admit, however, that a "first" for a new plan with new ideas, makes me a little nervous. Our "new" ideas are a little progressive for the Bloomington/Normal real estate market, so for this one, I was a little more nervous than normal. (If you are wondering what "new" looks like you will have to check out the photos. You can see them here: 3542 Tahoe.) One of our open housians on Saturday made a comment to her companion "that's interesting." I couldn't help myself, I had to ask, so I said "is interesting good or bad"? I think she was a little surprised, maybe embarassed, but I was truly curious. You see, we used tigerwood flooring for the hardwood selection. It is, sadly, labeled "interesting" in Blo-No. Actually this open housian liked it, she was simply trying to understand why anyone would still use oak when they could have tigerwood. I have to agree. After a long weekend, our traffic was great and the response to our "new" ideas was overwhelmingly positive. I have decided to stop trying "new" things and focus more on the "interesting." It is way more fun! If real estate is all about location, here is a good one. We are currently building in Morton for some clients on a lot that backs up to McClallen Park. McClallen is a 40 acre soccer complex and park that hosts Morton's MYSO, Blaze, Fury and even Morton High School soccer teams. So when the home is completed, our clients will be able to walk across their backyard and onto a huge greenspace that they don't even have to mow. A 40 acre backyard that the Morton Park District will maintain for them! We have access to wooded lots, lake lots, golf course lots, lots on parks, walkout lots, daylight lots and of course the flat 1/4 acre cornfield lot (plenty of those actually). How about a 22 acre lot with 11 acres of timber located between Morton and Bloomington? We have that too. Hate yardwork? Don't want any lot? 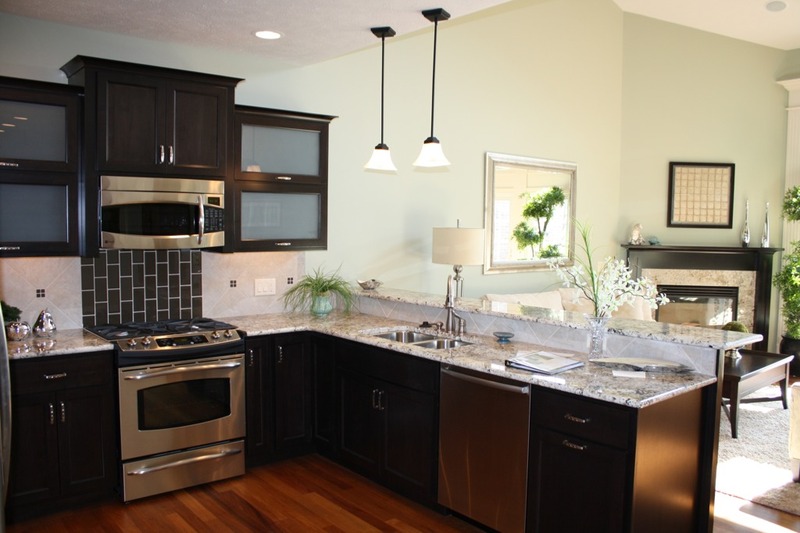 Check out our condo project at Prairie Vista Golf Course in Bloomington. Whatever you prefer, great lots are out there if you know where to look. We can help you find the perfect location and build the perfect home. Recently I worked with clients that were renting but were anxiously awaiting the day they could purchase their first home. They saw their rent raising each year but knew they did not have enough money for a down payment at this time. They were also concerned that if they found a home that they loved, would they be able to afford the mortgage payment. I encouraged these clients to speak to a Lender about options available to First Time Home Buyers and discussed with them how we could overcome the obstacle of no down payment. Needless to say these clients were able to purchase a home that they loved, with minimal costs to them and a mortgage payment that they could afford. I often get the question "Is this still a good time to buy" or "Can I really purchase a home with a mortgage payment less than my rent"? The answer to both is yes but not without the right Realtor or Lender to assist you through the entire process. Here are a few reasons on "Why You Should Buy". income is lower than it’s been in a generation. payments and total loan costs will spike upwards. Owning vs. renting is increasingly favorable. Full-Service Real Estate Firms.” Give me a call today to begin the process of purchasing your first home. Many people underestimate the impact that paint can have on a room. 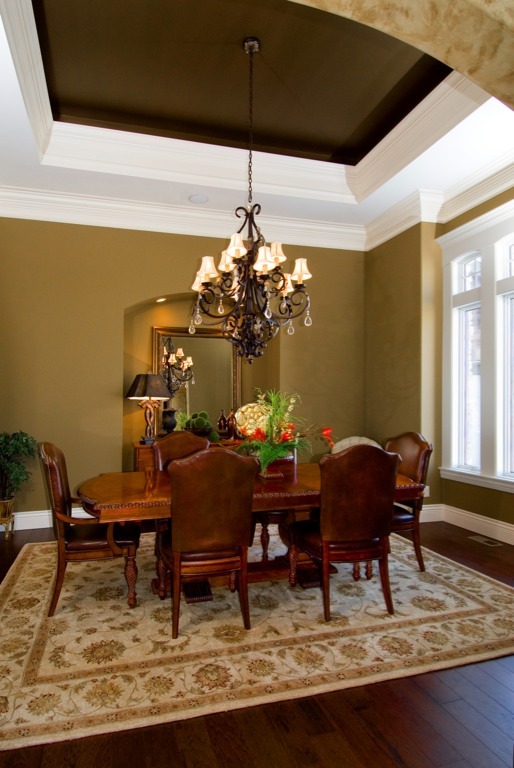 Whether buying, selling, or building a home, you will be considering paint colors. When selling your home, painting a few rooms can mean the difference between a potential buyer touring your home or not. Removing wallpaper or putting a fresh coat of paint on dated walls can make a huge difference! It is always best to use neutral colors. This will make it easier for the buyer to envision their furniture and life in the home. If you are building or buying, you excitedly envision what your life will be like in your new home. Every house has a different personality and many people have a difficult time picking out the right paint color. Take your time and find the color that fits your furniture and lifestyle. These two pictures are from BJA Custom Built Homes and one of them is currently for sale, 3 Prairie Vista Ct. Our interior designer, Cheryl, does a great job of picking neutral paint colors, while adding extra character to the room with accessories and furniture. If you are having a difficult time choosing paint colors for your home, we would be happy to share with you some of our favorite colors and staging ideas. I often tell people that I work for BJ Armstrong Custom Homes, but I don’t think they quite understand what being a custom home builder really means. We don’t take this very lightly. We take pride in being a custom home builder. We stand by you through the entire construction process and guide you through every selection to ensure that each detail is exactly what you dreamed of. At the end of the day, that is our goal. Building the house of your dreams. This whole process starts with me. I sit down with you and together we collectively bring your ideas to life by creating the designs for your dream home. 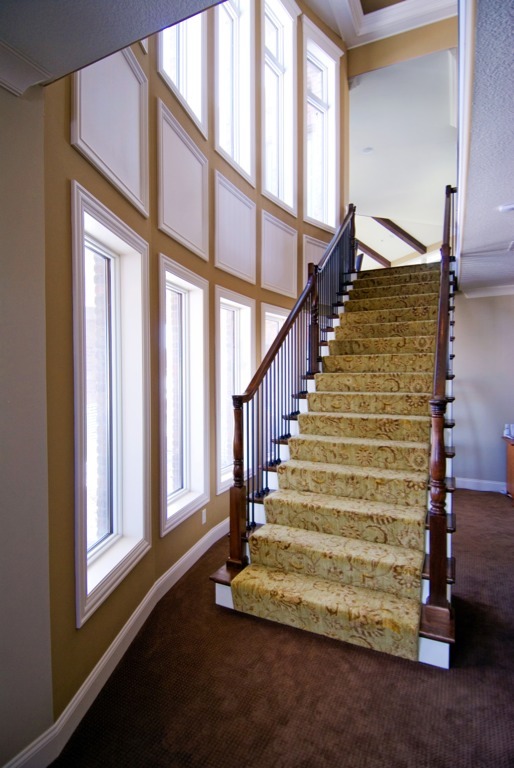 We spend as much time as needed to make sure that every window, every trim detail, and every hallway will fit your family’s wants and needs. I also take a lot of pride in constantly providing our clients with fresh and unique design ideas that separate us from other builders. That is what custom means to us. It is every room. It is all of the unique details that separate it from other houses. It is your home. When choosing hardwood flooring in your new home, there is one key step before installation, acclimation. Acclimating hardwoods is the technique of matching the wood’s humidity and temperature to your home. This process could take up to 7 days, if not longer; all you need to do is bring the material inside your house and let it sit. This step is critical. If you skip this step, after installations, your hardwood will expand and contract due to its new environment. This could lead to cracks and gaps in your floor. As part of the BJA Team, I take pride in the quality of our craftsmanship and understand the importance of this step. This picture shows about 5,000 pounds of material that is acclimating in one of our BJA homes. Ever tried to see what open houses are available in Bloomington/Normal on a given day? It is nearly impossible! Now, you can go to www.BNOpen.com. This single site will now direct you to open houses hosted in Bloomington/Nomal. The really cool part is that you can also search the database for price range, day open etc. Check it out today to see the most current offerings. Realtors may choose to add their open houses late, so check back often. We look forward to many features on BNOPEN.COM that will enhance its usability in coming weeks. Thanks to all the help and support from Cybernautic Design! If you are ever looking for an amazing web designer, call Chad Parker. How is the real estate market? That question has replaced “how are your girls doing?” as the question I am most often asked. It doesn’t matter where I am or what I am doing, people always want to know about the real estate market. Whether they are trying to sell more newspapers, get more viewers for their TV shows or increase the hits on their website, everyone has an opinion on the housing market. Here is mine. The question is which market are we talking about? Real estate markets are local down to a very narrow area. Central Illinois real estate didn’t ever get as hot as Las Vegas or Phoenix, and as a result we have not had the level of “correction” they are going through now. We build primarily in Peoria, Bloomington and Champaign. I am constantly amazed at how different those markets are in both good and bad times. Within those communities, certain subdivisions sell better than others. We spend a lot of time and effort making sure we are building the right home in the right subdivision in the right town. Ask the family in Las Vegas who spent $600,000 on a home that is now worth $400,000 how the market is. Then ask a recent client of mine who had multiple offers on his home in Morton in the first ten days on the market. You will get two completely different answers, both of which are right. We believe there is always a market for high quality, fairly priced homes. That combined with excellent customer service is what we strive for. While things are generally slower than they were a few years ago, we are still busy. We continue to build and have had time to catch our breath and look at all aspects of the business going forward. We have added staff, worked with our suppliers and sub-contractors, and looked at ourselves to see what we can do to become the best custom home builder we can be. BJ Armstrong Inc has made some exciting changes to our Real Estate Division. We have added Courtney Monaco to our team, enhancing our ever so important client support staff and I am now working as a Buyer's Agent. I have enjoyed transitioning into my new role and have helped some amazing people find their Dream Home. Despite what you may hear in the news, we continue to see the market in a positive light at Keller Williams with a 4% increase in sales over last year. It is a great time to buy as there are many homes to choose from and the interest rates remain low. Which means it is a competitive time to sell with so many buyers out there looking for the most value for their Dream Home dollar. We pride ourselves on providing outstanding service before, during and after your Real Estate experience. If you or someone you know is thinking of buying or selling their home, please consider allowing the BJ Armstrong Team the opportunity to discuss how we can assist in the process. Referrals from our valued customers and/or friends still remain as our number one source of business. We appreciate your continued support and look forward to building on our relationships. Hi! My name is Courtney Monaco and I'm the newest member to the BJ Armstrong Team. I recently moved to Bloomington from Chicago. My husband and I purchased a home when we relocated and had a wonderful realtor, Emily Almeida. A few months ago, she became an agent at Keller Williams and introduced me to BJ. The first time I met BJ and his team, I knew this was something I wanted to be a part of. The BJ Armstrong Team is simply amazing. The morale is incredibly high and the team camaraderie is nothing short of impressive. The past few months have been an exciting whirlwind of new people, situations, and ideas. The growth I have experienced is tremendous. I am excited to see how my career will develop and cannot wait to conquer new projects/challenges. Over the next few months I hope to provide some insight on what it is like to work on a team that specializes in real estate development and sales. As my career advances, so will my knowledge and that is something I would be honored to share. The first bit of information I would like to highlight is the importance of finding the right realtor. My husband and I met over 10 realtors before finding the right one. Within 5 minutes, we knew that we had found the realtor that understood us and would find us the perfect home. Buying a home is an exciting and emotional experience, so having the right realtor is imperative. Shop around and find the realtor that 'gets you'! Please do not hesitate to contact us to help you find or build your dream home! Have you ever looked at a two-dimensional drawing of a house and struggled to visualize how that would look once constructed? 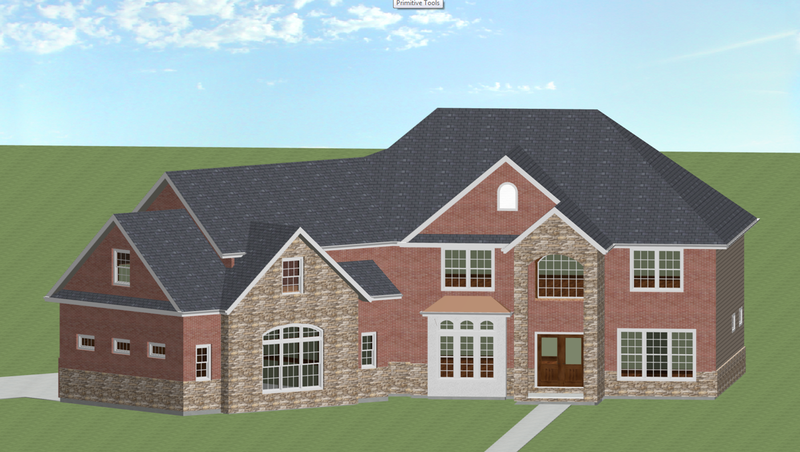 Well, BJ Armstrong Custom Homes is excited to announce that we recently got new, state of the art design software that allows you to see your new home or remodel in full color 3D before construction even begins! The software is called Chief Architect. Some of the features of this software include: 3D, realistic views, interior walkthroughs, and a materials library with hundreds of pieces of furniture, lighting fixtures, etc. Contact us today for a presentation of how we can utilize this software to benefit you and your home! -More than 40 dollars throughout the life of the bulb. 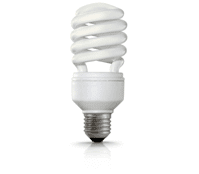 -Uses 75% less energy, and can last up to 10 times longer than a regular bulb. -Also produces 75% less heat so they can be safer and cut energy cost associated with home cooling. Welcome back to my blog! All this time I have been hard at work trying to figure out this crazy market. Here are the results. This graph shows the growth of the BJ Armstrong Sales Team vs. the B/N real estate market. We are working harder than ever to be sure our clients receive amazing results. Keep an eye on this blog for new market data and other interesting information from the BJ Armstrong sales team and BJ Armstrong Custom Homes. Mindset: The New Psychology of Success - Carol S. deck, Ph.D.